“Hot, hot, hot, hot chocolate, I can’t get enough. Hot, hot, hot chocolate, it’s my favorite stuff.” The song echoed around the classrooms. Smells of drying cocoa beans and melting chocolate lingered in my kitchen after art class. Since cocoa beans were used as currency among the Aztecs, Cortez thought it would be clever to literally have his “money grow on trees” and owned plantations. Did you know that coffee and chocolate houses were introduced in Europe by Quakers, like Fry and Cadbury, to give people an alternative to alcohol? 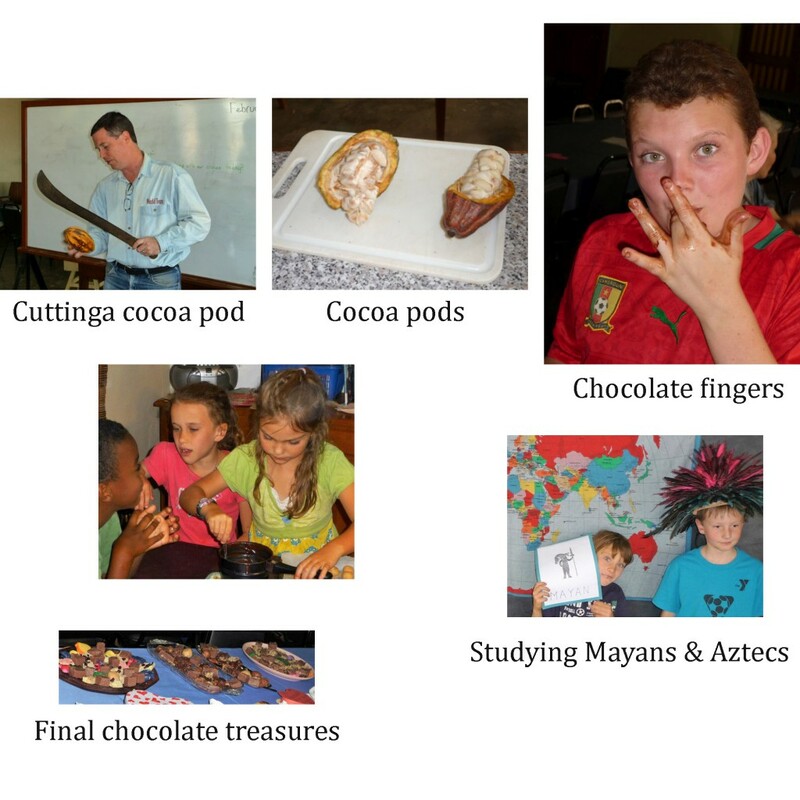 Learning about chocolate was surprisingly informative and definitely fun! This school year our homeschooling program had an unusal number of students (29) representing seven missions. Not so next year!! Many families are on home assignment or completing their commitment. 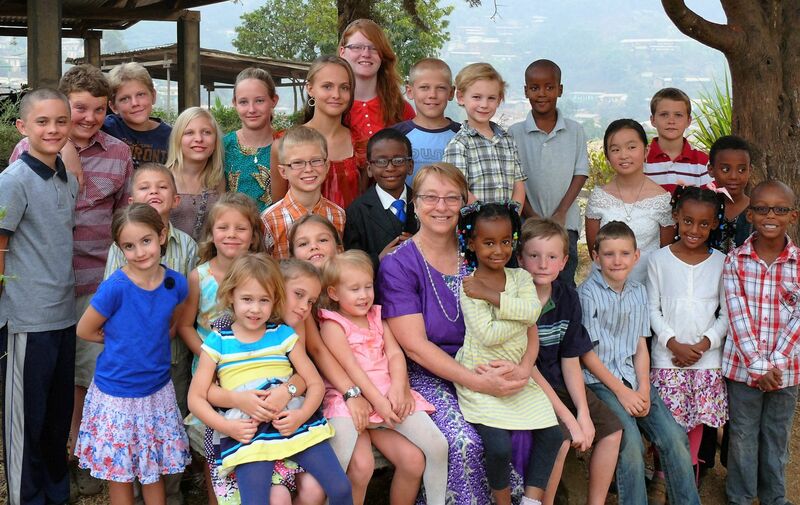 Even with three new families (three new missions) we will have only eight students. Working with missionary kids is never dull. How can I say “thanks” for all the you folks have done for me? Without your prayers, encouragement and financial support, I could not be here. Thank you for your faithfulness to me and to God! May God continue to bless you and use you as you serve in your churches and communities. As they say in Cameroon, “We are together!